When Casey Maldonado and Death hitch a desperate ride away from one disaster, they throw themselves right into the middle of another one. 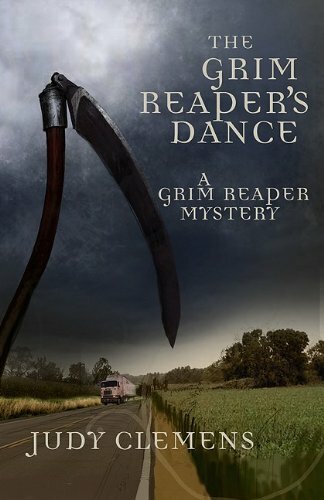 The semi in which they are traveling crashes, and before the Grim Reaper takes Evan the Trucker away, Evan whispers to Casey about a stash hidden in the truck that she should keep away from them. Them turns out to be a band of men who want that package no matter what it takes, and they believe Casey knows where – and what – it is. Alone and injured, with neither money nor identification, Casey escapes from under the noses of the ER doctors and her pursuers, and hides out in the cornfields of Kansas. The valuable stash turns out to be photos, truck manifests, and other information pointing Casey toward something big and complicated – a conspiracy? Smuggling? Blackmail? She can’t be sure. Casey, uncertain how to proceed, is led by Death to a group of teenagers looking for something other than dust and crops to fill their days – and their nights. Using their limited resources, she finds her way into a maze of greed and desperation – and into the clutches of people who don’t care who gets hurt as long as they get what they want. Casey is determined that no one else should die because of the desires of one group of criminals, and finds herself defending not only herself, but the teenagers, a few other kind locals, and perhaps even the trucking industry itself.